An intermediate to advanced level training course designed for serious students of taiji straight-sword. This class will focus a great deal on partner drills and sword applications. The course is for practitioners already familiar with the sword. The 13 Power Taijijian sword training from the traditional Yang-style Taijiquan curriculum, offers an ingenious, integrated approach to the sword art. Sam makes this elusive subject clear and accessible in a way that few teachers can. This is a rare opportunity to deepen your understanding of the sword and the entire art. The material will be presented over a weekend and two four-day sessions. The first weekend will focus on jue-jian or 'sensing-sword'. The two four-day sessions will focus on the square and diagonal energies of the 13 powers method using solo and partner training. 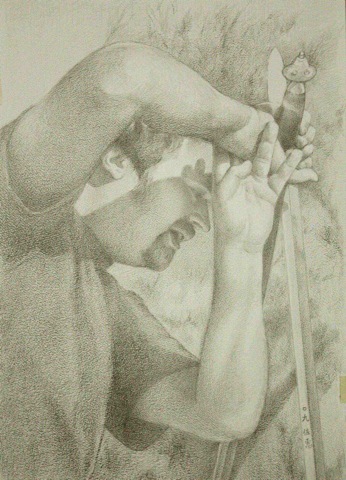 Sensing-sword provides the basis for an understanding of 'jin', taijijian's 'intrinsic power'. This weekend class will give taiji sword players a clear insight into why taiji is the way it is and will provide a foundation for the two four day weekend classes to follow. This first weekend can be attended by anyone regardless of experience. Through solo and partner drills, applications and sparring studies we will thoroughly learn and train the 13 power taijijian method. 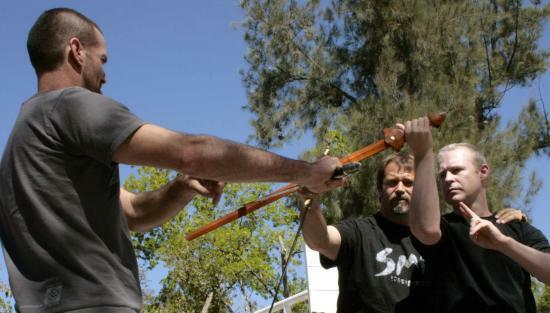 To be eligible for the course, participants will have studied taiji solo and partner sword for at least two years. Ideally this will have been with Sam but studies with Sam�s advanced students and with other teachers will be taken into consideration as well. Experience in areas listed below contributes to eligibility. Solo sword: Yang-style 54 Taijijian; 5 Section Taijijian (solo form); other acceptable sword forms. Partner sword: 5 Section Taijijian (two-person form); Jue-jian (Sensing-sword); 13 Power Sword drills; other acceptable sword forms. Other sword training: sword sparring; other types of fencing (kendo, western modern fencing, historical fencing, etc. ); other acceptable sword training. Students must be willing to work hard for long hours, commit to the schedule of training for the three weeks and meet financial commitments. The course will be limited to 18 participants.